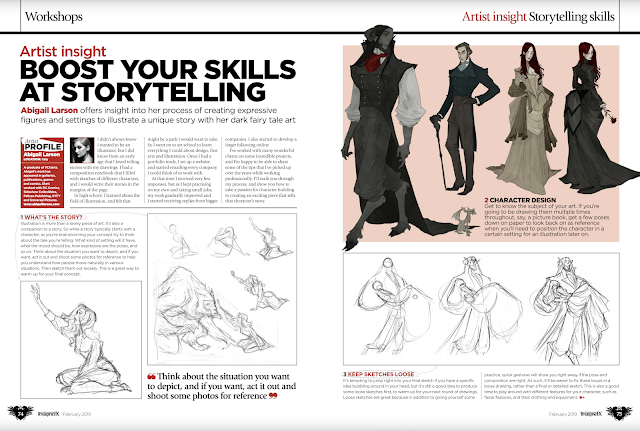 I'm so excited to share my storytelling techniques workshop in the February issue of ImagineFX magazine! I'm joined in this issue by some really incredible artists such as Jon Foster, Scott M. Fischer, Tran Nguyen, Tiffany Turrill, and lots of others! It's available now in the UK, and in February for the US and Canada. Order your copy here!